This delicious recipe is so easy to make and can be made the day before a dinner party, so no rushing to get things done on the night when having guests around. It can also look very elegant if presented nicely. Carolyn Barker creates beauty out of precious metals and decorates her artistic products with Australian gems. It was nature that inspired her to create startlingly blue opal and gold and shakudu earrings embedded with tiny white diamonds. Her walks along a glistening aquamarine ocean and golden sands helped her to create these beautiful bespoke handmade items, sure to be treasured by its owner. Visit her website to see these lovely pieces. Carolyn has generously provided a prize to the winner of this month's competition that I ran on Instagram called, #the_heart_series. 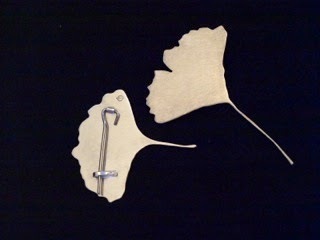 The lucky winner's prize is a sterling silver brooch in a gingko leaf shape and from Carolyn's 'Fallen leaves' series. 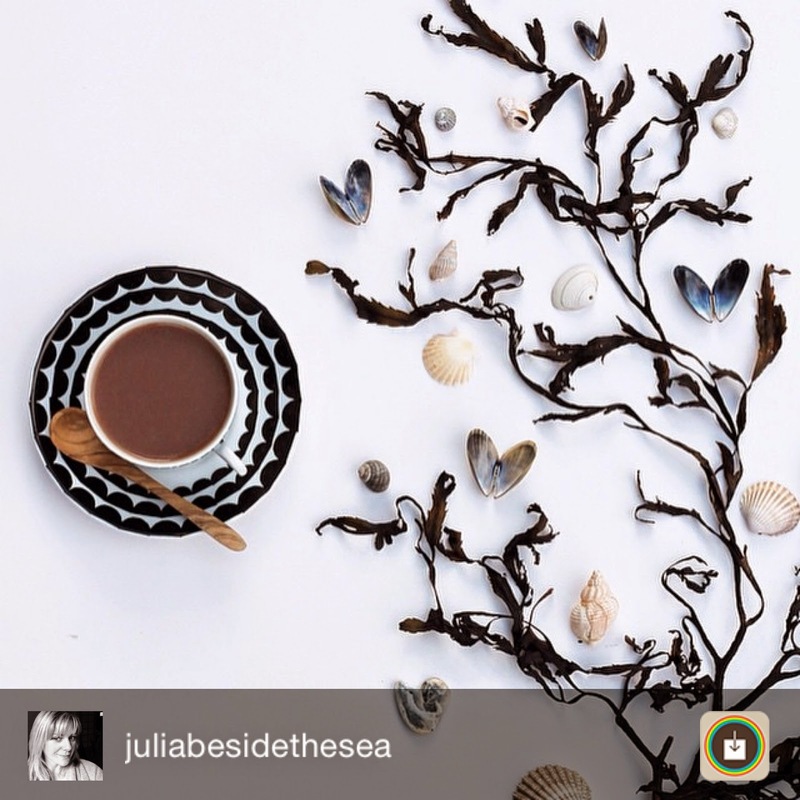 Carolyn who judged the competition has awarded the prize to @juliabesidethesea for this beautifully composed photograph which enchants with its marine inspired theme. 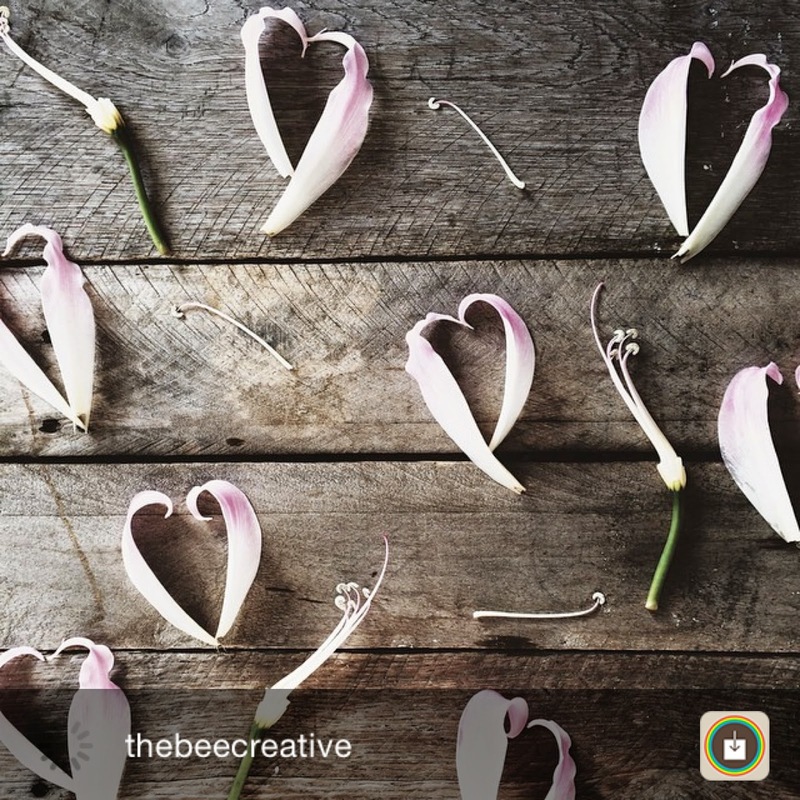 hearts captured my imagination in the early days of the competition” says Carolyn. 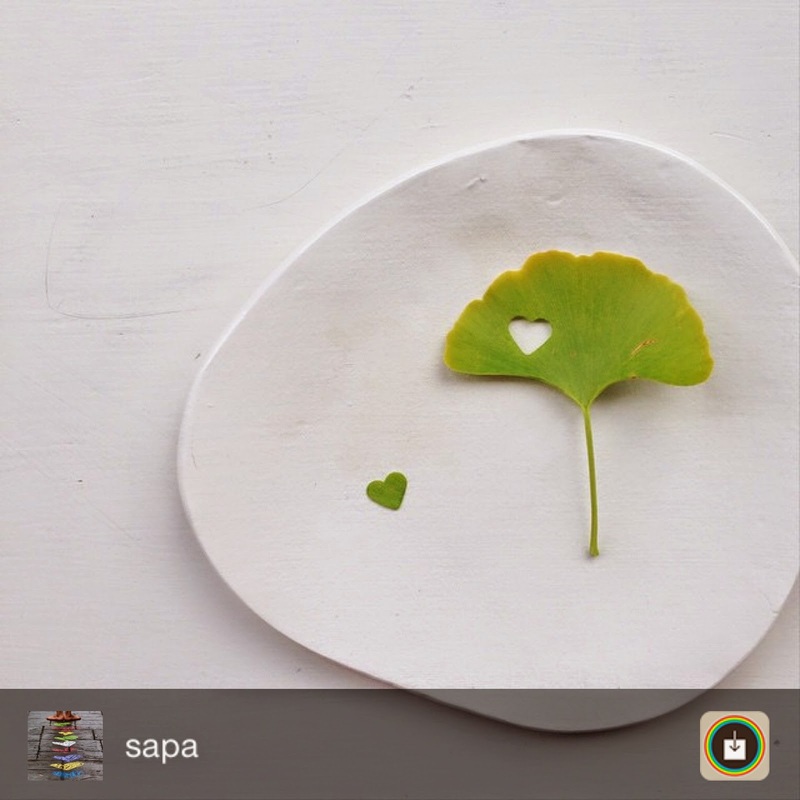 “Many wonderful entries followed but this one lingered in my heart." 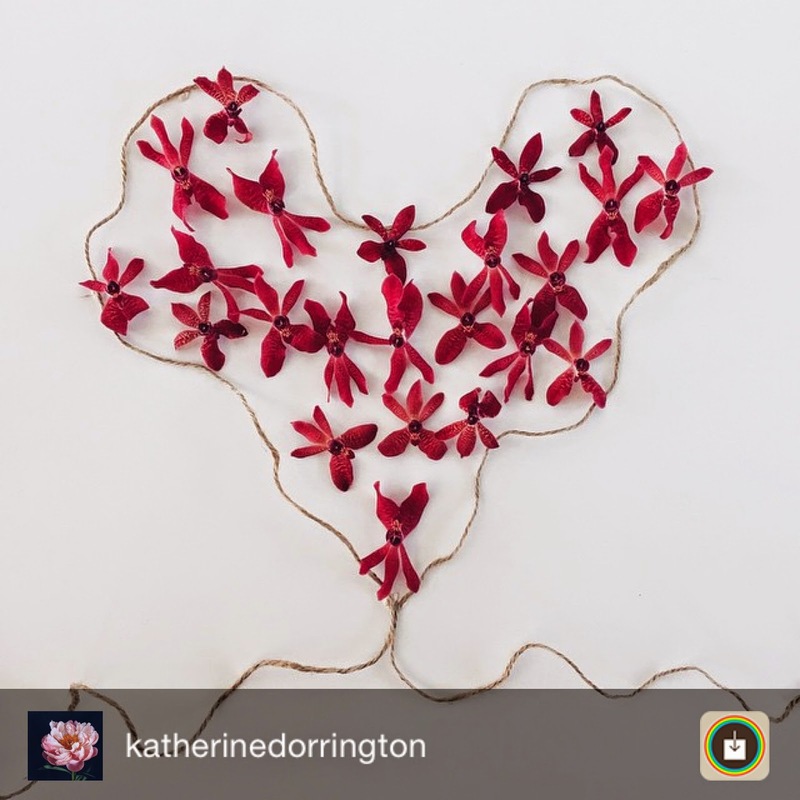 Congratulations Julia - such a lovely entry. A big, heartfelt thank you to Carolyn for providing such an amazing prize and to all of you who joined in #the_heart_series challenge. 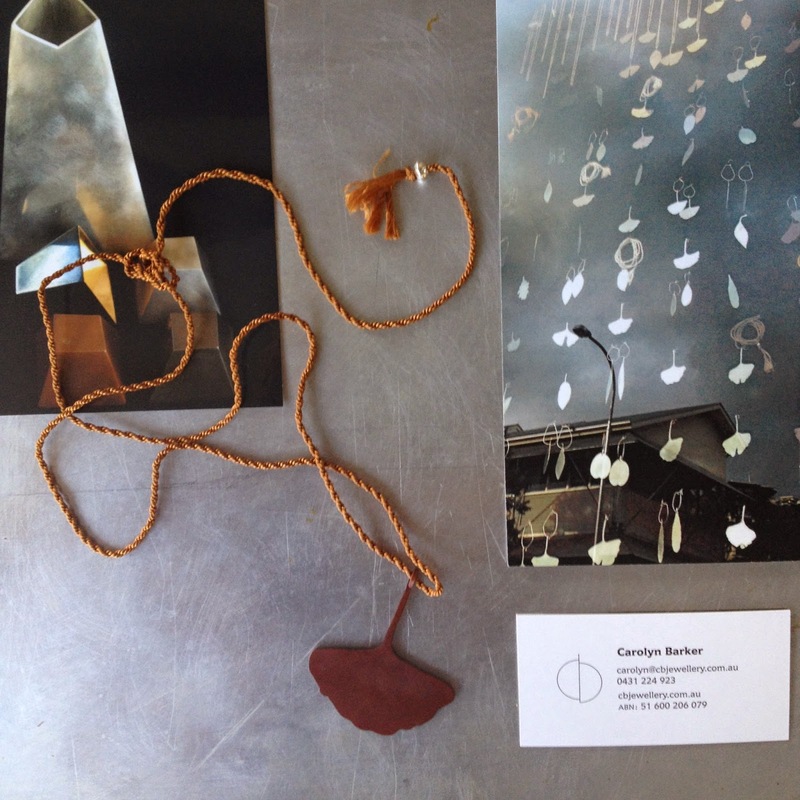 I was lucky enough last year to win a beautiful copper gingko pendent made by an Australian jeweller- Carolyn Barker. Georgina Reid of The Planthunter online magazine that celebrates plants, ran an Instagram competition with Carolyn and lucky ole me won this beautiful pendent below! But now I am even more excited to help you win one of Carolyn's beautiful designs too. Carolyn is generously offering a sterling silver gingko shaped brooch worth AU$230 as a prize. This image shows the front and back of the brooch design. "We have such lovely flora in this part of the world. Picking up leaves at the beach is a favourite family pastime of ours. They make particularly good sandcastle adornments. One evening while stopping for a quick swim I was greeted by a wonderful sandcastle. The beach was empty. The small formation was a simple mound covered in round brown leaves. It caught the setting sunlight and glowed gold. Glorious. Thus, these were inspired." She uses precious and non-precious materials, and particularly the Japanese alloys shibuichi (silver and copper) and shakudo (gold and copper), in combination with silver, gold, copper, platinum and gemstones. Carolyn is a true artist taking time and great patience to achieve these colours. Now wouldn't you like to own one of her handmade brooches? This competition is on Instagram and open worldwide, so do join in! It requires a little challenge to be creative too. 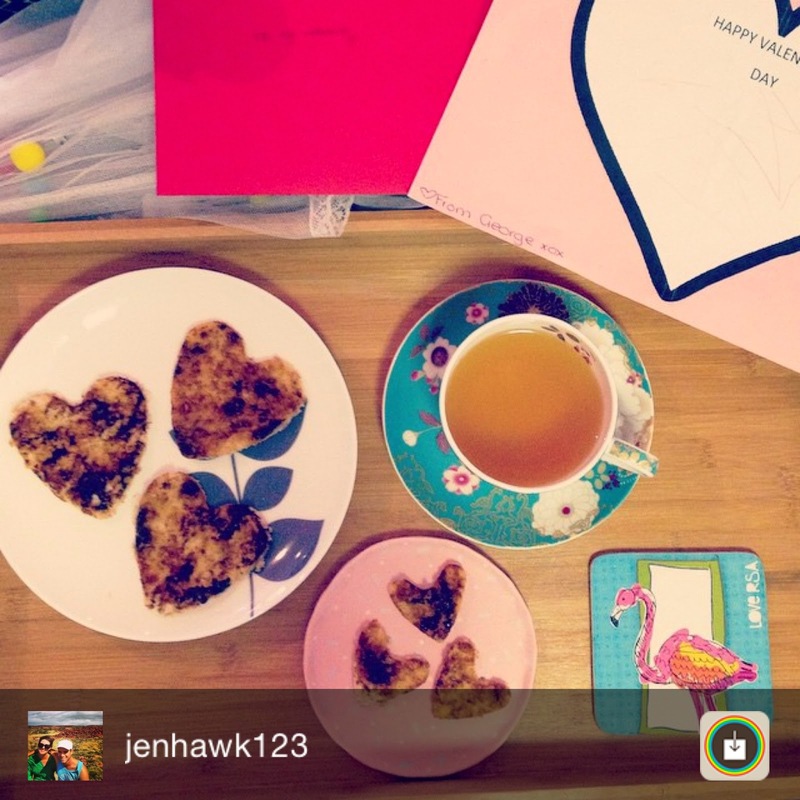 Competition closes on Valentines Day, 14 February 2015, and Carolyn will choose the winning entry. I will announce the winner on the blog soon after! The Instagram community never ceases to amaze me. I threw out a challenge mid-January and already there are four others who have joined me. 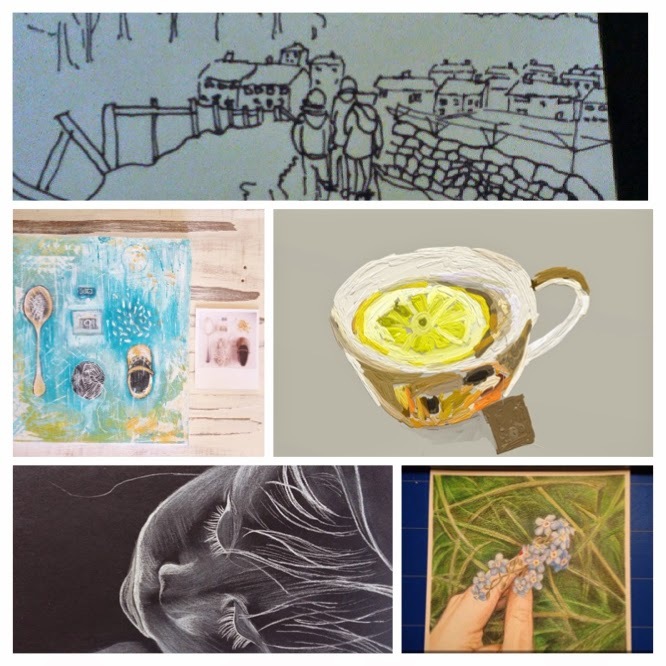 The challenge was to either draw, paint or collage an IG photo to encourage the creative process. And the reason I suggested an IG photo is because I always have that feeling of dread looking at a blank canvas! By using one of your own photographs you already have some subject matter and can just try and recreate it and in whatever medium and style you wish. Four lovely ladies joined me and here are our final images for the end of January. I wonder what creative delights we'll see at the end of February. So sharpen your pencils and join in! 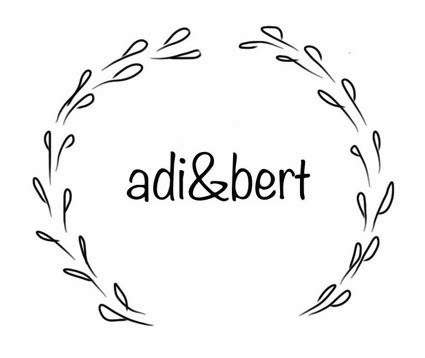 On Instagram check out the tag #theinstaproject1x12 or follow @adiandbert for news posts on the project.